DANCE MOUSE™ and Dance Madness™ is endorsed by the South African Dance Teachers Association and the program has been well received by 100’s of schools throughout South Africa. 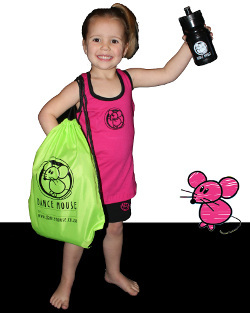 The DANCE MOUSE™ syllabus encourages children to enjoy dance expression and to increase the their passion of dance. It provides the child with technical training, as well as fun, rhythm and exercise. Our curriculum gives young children the opportunity to be introduced to approximately 6 different dance forms per year. Should children only want to dance for fun (whether talented or not) or to do exams and competitions they have the freedom to choose. Paljas Kleuterskool, Ligstraaltjies Kleuterskool, Graad R Elarduspark, Laerskool Elarduspark, Lardieland, Little Ladybirds, Kids@collage, Sonstraaltjies. The new Dance Mouse™ Ballet syllabus will include Ballet and Body Conditioning techniques, a Ballet warm-up, Ballet dances, Ballet character dances and general stretching techniques. The syllabus will be for Grades 000, 00 and 0/1.